Looking for a new way to reach out to millions of mobile customers? 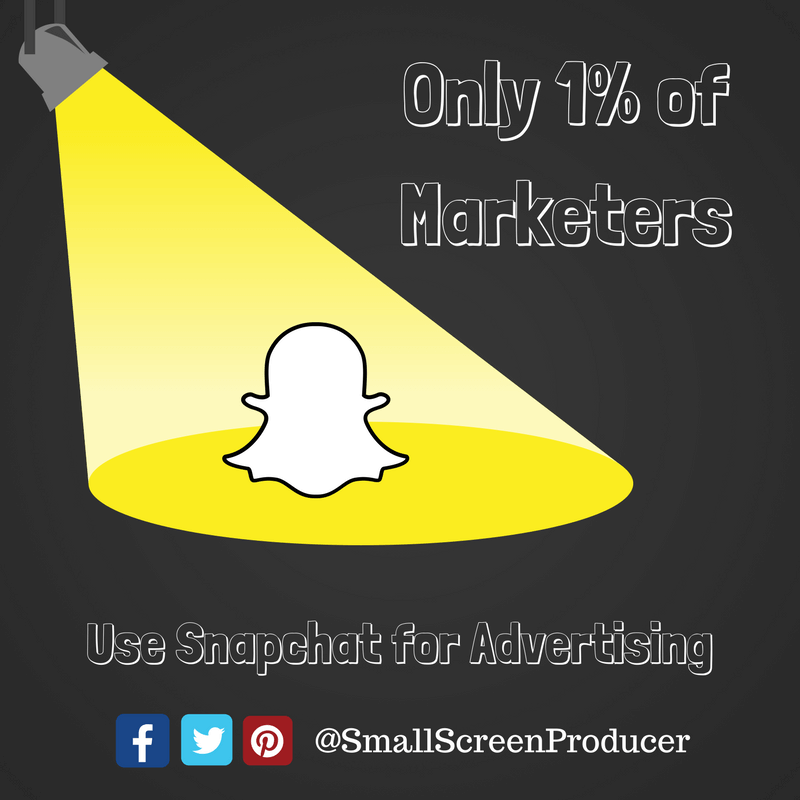 Then the video messaging app Snapchat for advertising may be the way to go. With over 150 million daily active users and only 1% of marketers using it, this real-time social media marketing tool offers a whole new way for you to broaden your brand’s reach. Depending on your audience, there are a number of different advertising methods you can employ to reach new users. Get creative and use the app for introducing employees, holding contests, going behind-the-scenes and offering coupon codes. The online marketing landscape is dynamic and is always changing. It is the brands who are willing to take risks and experiment with new tools like Snapchat who often make the greatest impact online. Keeping up with your business is hard enough, which is why Small Screen Producer exists. Our company stays ahead of online marketing trends and we make sure our clients take advantage of the marketing opportunities that make sense for their business. To discuss your online marketing strategy with a digital media marketing expert at Small Screen Producer, we invite you to give us a call at (281) 569-4370.